Hill lists abound these days and here’s another. 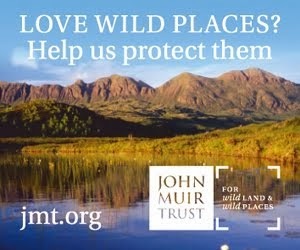 This one is of more interest than most however as it covers the highest 500 mountains in the British Isles with a drop of at least 500 feet on all sides. Hence the top 500. This book isn’t just a dry list of names or a guidebook either. 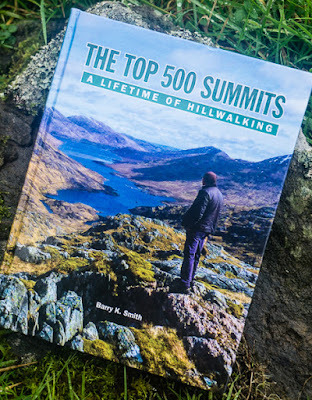 It covers all 500 summits and there is a list of them all at the back (with metric heights) but the main body of the book consists of photographs and accounts from the author’s ascents of each peak. 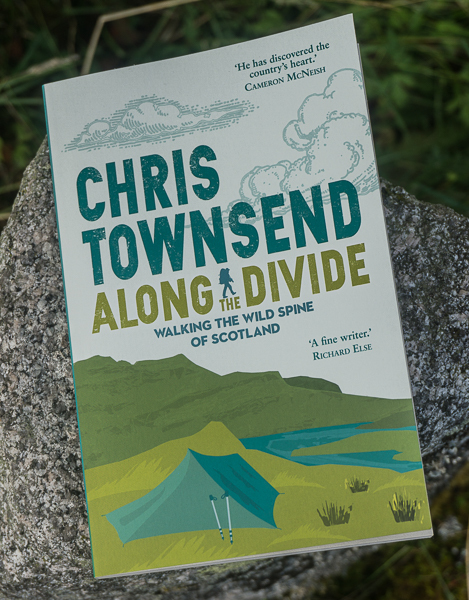 Routes are briefly described and there’s a personal view on each hill or group of hills with opinions and stories from days out. The book is well laid out and excellent for browsing. The bulk of the summits are in Scotland of course with Ireland, Wales and England only having 70 between them. The 500 foot drop criteria means that all the Corbetts are included but not all the Munros, which throws up some interesting results. Looking at the hills I know best- the Cairngorms – I see that Mullach Clach a’Bhlair isn’t included even though it’s a long way from the nearest higher peak, Sgor Gaoith, while the circuit of peaks around Loch Avon includes Creag Mhor but not Cairn Gorm. I’m sure readers will find other curious results. I also noted that the author keeps the English names of two Cairngorm Munros (neither in the 500) rather than the Gaelic now commonly used and found on the latest maps. So if you’re confused Angel’s Peak is Sgor an Lochain Uaine and the Devil’s Point is Bod an Deamhain. I didn’t know what to make of this book at first. It’s not a guidebook but it’s not a trip account either. It’s a bit of both. However once I started dipping into it I kept finding interesting snippets and stories as well as some inspiring photos. 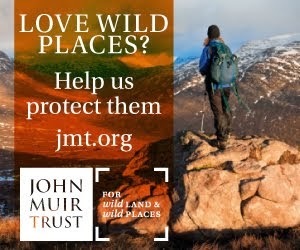 I think most hillwalkers will find it of interest whether peak baggers or not. This review first appeared in the September 2017 edition of The Great Outdoors.